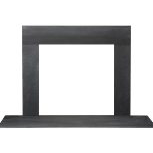 Personalize the look of any fireplace with mantels and surrounds by Quadra-Fire. Offered in a variety of styles, including granite, marble, slate and wood our mantels are designed to fit the unique style of any home. Personalize your current fireplace with wood mantels and fireplace surrounds by Quadra-Fire. Whether you are looking for a classic look or modern style, we have the perfect solutions to dress up your fireplace. 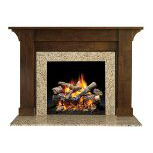 Magnify the beauty of your fireplace with a variety of stone surrounds by Quadra-Fire. With designs ranging from clean and modern to textured and traditional, you can find a look to complement the beauty of your living space. 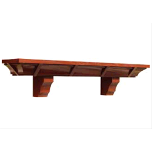 Effectively accent the artistry of your fireplace with the addition of a mantel shelf. Whether you use it for show or to display eye-catching home décor items, our mantel shelves are a must.